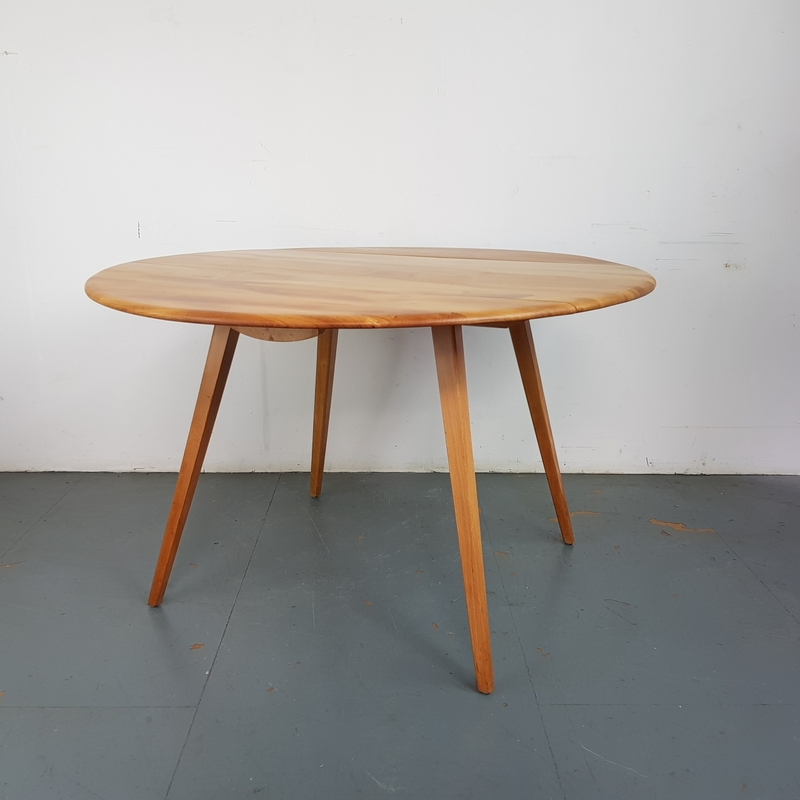 Lovely vintage (mid 60s) Ercol round drop leaf dining table. Lovely elm top on beech legs. In very good vintage condition. It's a vintage item, so has some general age-related wear, but nothing specific to mention.